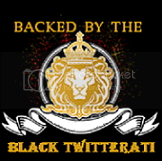 Black Twitterati: ChanelleCarver: Literacy 'n' PovertyBlack Twitterati- Celebrating the Black Twitterati... one tweet at a time. Who's worth following, who isn't. What happens when a seven year old ambitious goal-oriented dreamer becomes an adult and commits to changing the world? You get Chanelle Carver and her non profit organization, Literacy 'n' Poverty Project, a startup nonprofit organization that works to alleviate poverty and improve adult education worldwide. Chanelle gained her passion for non profit work from an early age and continued this through her college career. As she began to learn more about non profit organizations and social enterprises, she realized that she was always a social entrepreneur. Twitter gives her organization a platform to educate and build relationships with current and new supporters and has allowed the organization to receive support from volunteer bloggers and writers. Having an online presence has allowed the organization to build a blog following for the MakeSocialChangeAReality.com blog. The blog is about educating and empowering others to make social change a reality in their own unique ways by giving others the opportunity to learn about social issues and uncover the necessary resources that will allow them to create change, the kind of change they can believe in and execute. 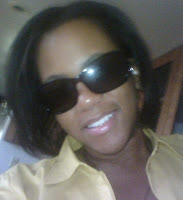 Find Chanelle and her organization at http://twitter.com/chanellecarver and http://twitter.com/lnpproject. About today's contributor: Kim Spight is a new writer who is working on becoming a more frequent blogger at her own blog lattethenthoughts.wordpress.com. Also find her on Twitter as @girly1121.